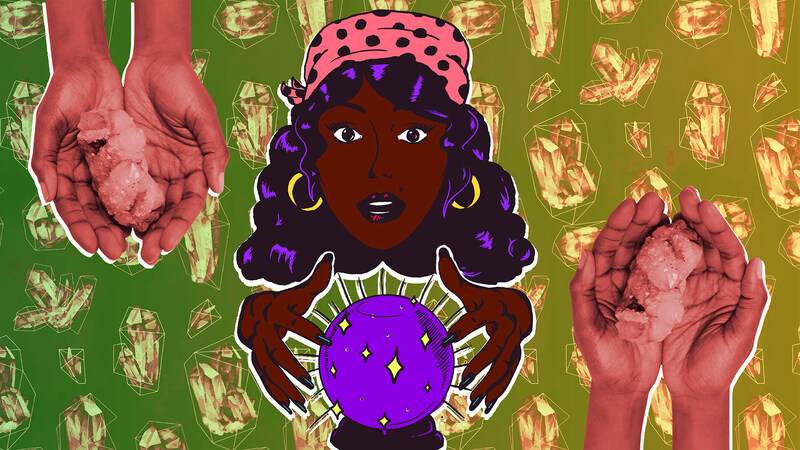 It seems like tarot cards and emoji spells are everywhere lately, and an increasing number of women are identifying themselves as witches. From “resistance witches” who are hexing Trump to Goop-level new age juices that come with a side of crystals, it’s hard to parse where exactly the modern witch is falling — as a new type of social media influencer, earnest practitioner or somewhere in between. We talked to Lisa Chamberlain, a witch and Wicca practitioner who has published more than 10 introductory Wicca books and e-books, about how she views the growing interest in witchcraft. SheKnows: When did you first start identifying as a witch? Lisa Chamberlain: It was really something of a gradual process. I became interested in Wicca and witchcraft as a teenager, but since it was a bit too “weird” to share with friends and I didn’t want to upset my very religious family, I kept it to myself for several years. I was in my mid-20s before I really understood that this was a central part of who I am and that I wanted to go ahead and embrace it fully. As for my family, we’ve just agreed not to mention it. SK: It seems like witchcraft is growing in popularity in the last few years. You’ve written several books on Wicca and witchcraft. Why do you think witchcraft is gaining ground again? LC: I think a lot of it has to do with the availability of information. Before the internet came into widespread use, books and periodicals related to the craft were not easy to come by for the vast majority of people who might otherwise have been interested. We’re also in a period of wider cultural acceptance of people, lifestyles and beliefs that are different from the “norm.” That doesn’t mean that plenty of witches aren’t still in the closet, but there’s less social risk for people who are out about their spiritual pursuits. You could almost say there’s a normalization of witchcraft happening, which then leads even more people to want to explore it and to feel safe in doing so. SK: What do people tend to misunderstand about Wicca and witchcraft? SK: Wicca has been part of your life for several years, but there’s a kind of derogatory expectation that Wicca is a fad for young women. Where do you think that comes from? LC: I have no doubt that movies and television shows featuring aspects of witchcraft — like Charmed, American Horror Story, etc. — have sparked interest in learning more about the craft, but I think that young people who are truly drawn to it are coming from a place of knowing there’s more to the world than what they’ve been taught and wanting an experience that confirms their sixth-sense leanings. They may find Wicca to be an excellent answer to these soul callings, or they might find it interesting but ultimately not for them. It’s not much different from people who want to incorporate a more traditional religion into their lives and so try out various churches to find out what they resonate most with. SK: Does someone have to practice Wicca in order to be a witch? LC: Absolutely not. There are some who practice specific, coven-oriented Wiccan traditions that have been handed down from the days of Gerald Gardner and his fellow witches, and if you haven’t been initiated into a coven, then you aren’t a practitioner of that specific tradition. But no one has authority over the term “witch,” and there are many people who identify as witches who have never practiced Wicca. There are also plenty of Wiccans who don’t identify as witches, so the whole issue of labels and terminology can get rather tricky. SK: One of the places witchcraft seems to have become increasingly popular is on social platforms like Instagram and Tumblr. The hashtag “witchesofinstagram” has nearly a million posts. What do you think of its popularity there? LC: I have to confess that I don’t really understand how Instagram or Tumblr work. I’m pretty old-fashioned in that regard. But given that the bulk of the growing popularity of the craft is happening among young people, it makes perfect sense to me that it’s showing up all over social media. Maybe one day I’ll join them! SK: Are there any “magic” or “spells” that people tend to do in everyday life without realizing it’s what they’re creating? LC: That’s a great question. I wouldn’t say that people are accidentally working “spells,” since those are deliberately executed rituals. However, magic works on the principle that your focused intentions are what create your reality, and this is interrelated with the concept of the law of attraction, which is also becoming a more popular topic. The basic principle here is that you get what you think about, and that’s definitely happening to everyone all day long whether they ever realize it or not. It’s a tough thing to explain because it’s rarely an instant equation — you don’t suddenly discover a $100 bill laying on the ground just because you thought about it — or at least that’s not usually how it works. But if you spend your days constantly focusing on the things that stress you out, you will attract more things to stress you out. If you focus on what’s working out well for you, then more and more aspects of your day will work out well for you. I’ve learned this through my own experiences over the years and through watching the experiences of others, but funnily enough, I didn’t really truly get it until long after I first started learning spell-work.